New product. 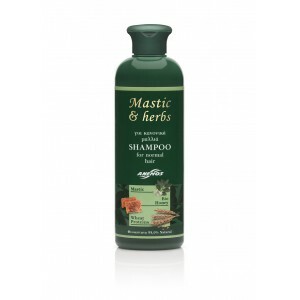 Fine shampoo with mastic and bio: olive oil, honey. Specially formulated shampoo for normal hair. 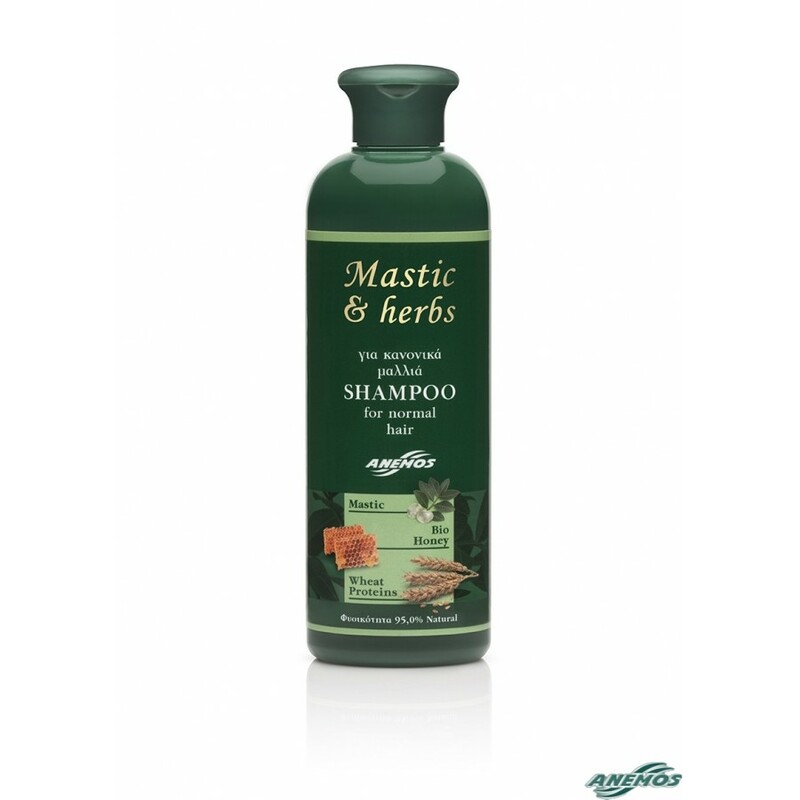 Mastic oil, along with the rest of the active ingredients of this fine shampoo help to protect and moisturize the hair and scalp for strong, easy to comb, silky and healthy hair. Effective, but gentle to your skin. With discreet allergens free perfume. WITHOUT: SLS, SLES, Parabens, artificial colorants, Propylene glycol, Mineral oil & derivatives. With organically grown: olive oil and honey. Shampoo with ingredients which are 95% of natural origin! For better results, apply a small quantity of shampoo to wet hair. Make a light massage with your finger tips. Allow one minute for the active ingredients of our shampoo to take effect. Rinse well. Repeat if necessary. For even better results, after the shampoo, we recommend to treat your hair with our conditioner. Once a week (or more frequently) you could use one of our hair masks for silky, strong, shiny, easy to comb hair -especially if you have weak or brittle, or colored hair. You will be surprised by the results! Ingredients: Aqua (Water), Disodium Lauryl Sulfosuccinate, Sodium Lauroyl Sarcosinate, Cocamidopropyl Betaine, PEG-4 Rapeseedamide, Sodium Cocoamphoacetate, Glycerin, Hydrolyzed Wheat Protein, Panthenol, Lauryl Glucoside, Mel (Honey*) Extract, Glycyrrhiza Glabra (Licorice) Root Extract, Olea Europaea (Olive*) Fruit Oil, Pistacia Lentiscus (Mastic) Gum Oil, Myristyl Lactate, Glyceryl Oleate, Coco-Glucoside, PEG-12 Dimethicone, Caprylyl Glycol, PEG-120 Methyl Glucose Dioleate, Parfum (Fragrance)**, Ethylhexylglycerin, Disodium Cocoyl Glutamate, Sodium Lauryl Glucose Carboxylate, Guar Hydroxypropyltrimonium Chloride, Citric Acid, Butylene Glycol, Tetrasodium Glutamate Diacetate, Phenoxyethanol, Benzoic Acid.